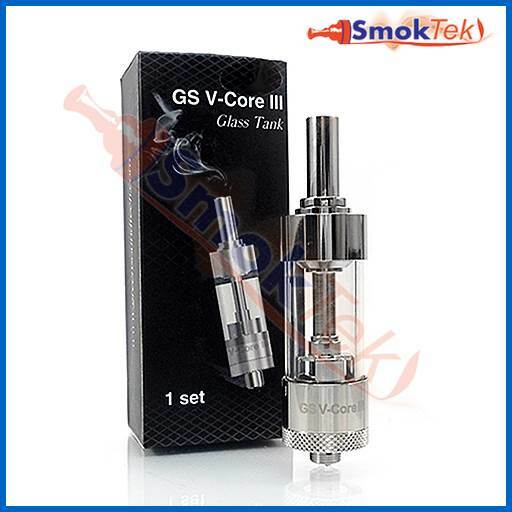 The V-Core III by GreenSound is a bottom dual changeable coil clearomizer. 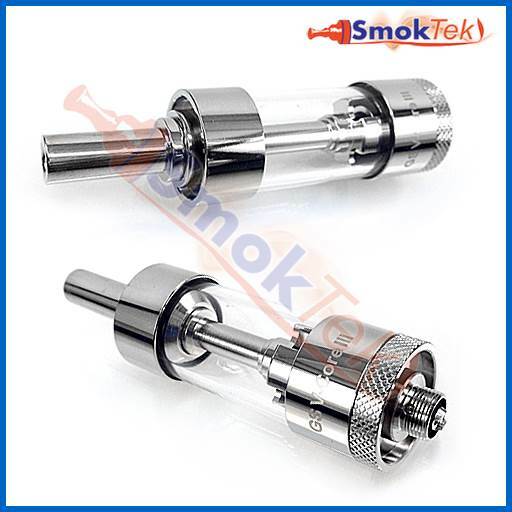 It is made of stainless steel with a polished finish and features a 3ml pyrex glass tank. Pyrex glass means you can use even harsh e-liquids, like cinnamon or citrus flavors, without fear of damaging the tank. The V-Core III uses bottom dual coil heads, which provide great flavor and vapor production. 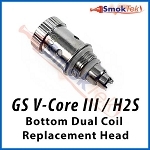 The coil heads feature two horizontal coils, and a spring-loaded center pin: this means that your atomizer makes a connection with your device each time. The V-Core III is very easy to use! The GS V-Core III is 510 threaded. It will work with most 510 and 510/eGo threaded devices/Mod's on the market, including eGo batteries (pick up an eGo Cone to hide the threads on your battery). The V-Core III is a perfect match for the popular GS EGO II Twist batteries! The V-Core III is easy to refill: simply hold the clearomizer upside down, unscrew the base (bottom), tilt at a slight angle and fill with 3ml of e-liquid (do not fill through center tube, that is for airflow). Screw the base back on after you are finished filling with e-juice. Changing the coil on the V-Core III is also very easy: hold the clearomizer upside down and set it aside (be careful of spillage, if the tank has e-liquid in it). Unscrew the base, unscrew the old coil and screw in a new one. Finally, screw the base back on. 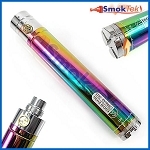 After installing a brand new coil, please set the clearomizer aside for a few minutes to allow the new coil to become fully saturated with e-juice. Get more coils here. The GS V-Core III is disassembles easily for cleaning. 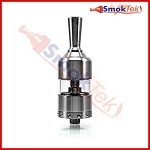 It features a removable 510 drip tip. The V-Core III comes pre-installed with either an 1.8 ohm or 2.0 ohm coil inside - please use the selection menu above to choose your preferred resistance. Please note: There is no warranty, returns, refunds or exchanges on clearomizers unless DOA. Where can I get more ? Was looking for just a tank for my old EVOD mega.This is a wonderful tank that I cannot get anywhere. I would love a couple more. Way better than Protank, Puritank, etc. Q: Is this unit something that is on clearance or discontinued? I ask this because I wanted to order some extra coils for it and it would only allow me to order 2, which tells me that if I order them, in a few weeks when I attempt to re order that they may not be available? Reason I ask this, I bought 2 other tanks recently that I cant get coils for and didnt want to do it a 3rd time. 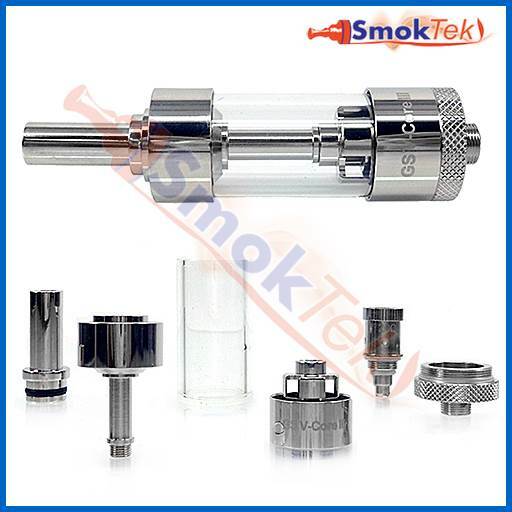 Also I am looking for mouth to lung type of vape, rarely go above 10w anyway. Is this ok for that.